Pop audiences nationwide are familiar with Ray J's latest wish for success in an R&B market saturated with young, metrosexual males. "One Wish," a syrupy-sweet ode to lost love and hope for reconciliation, remains entrenched on the Billboard Hot 100 after six months and a peak position at No. 11 on the chart. His latest single, "What I Need," is currently picking up steam on radio stations around the country. Both songs are off his third album, "Raydiation," released last year. The 25-year old singer is this weekend's featured artist at the E.K. Fernandez Sports Carnival, with performances Friday and Saturday at 8 p.m.
BORN IN Mississippi, William Raymond Norwood Jr. moved to Carson, Calif., at the age of 2. The son of a church choir director, both he and older sister Brandy showed promise as entertainers when they were young. While Brandy got her break in music, singing backup for the group Immature before releasing a solo album in 1994, Ray J got his start in front of the camera as a child actor. After appearances in television commercials, he joined the cast of "Sinbad," playing the role of the comedian's young son until the show was canceled in 1993. But it was his sister's success as a recording artist that motivated him to produce a demo and get signed by a major label. Elektra gave him a chance, releasing "Everything You Want" in 1997, but the album didn't fulfill expectations and he was dropped from the roster. Four years passed before Atlantic Records released "This Ain't a Game," which Ray J described as a contrived attempt to package him as more of a rapper than a singer. "I love (that) album, but the singles I chose after 'Wait a Minute' did not capture what Ray J is really about," he said in a statement last year before the release of "Raydiation." "People saw me as a rapper instead of a singer who loved to do it all." THE ARRIVAL of "Raydiation" in 2005 brought a slightly more mature, introspective sound. 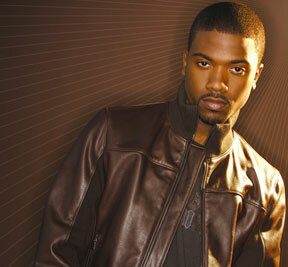 "On this album, I strayed away from the hip-hop edge and stuck with what comes natural for me," said Ray J. "(It) represents every mood of me ... I love clubs and hanging out with my friends, but when all the fun is done you want to go home to somebody you love." A number of big names stepped up to help during the recording process, from Timbaland and Fat Joe to R. Kelly and Rodney Jenkins. He also teamed with Mathew Knowles (Beyonce's father) to release the new album via British label Sanctuary Records. But Ray J faces stiff competition from the likes of Mario, Chris Brown and Jamie Foxx. He also can't compare to the songwriting ability of Ne-Yo, who made a name for himself penning hits for Mary J. Blige, Marques Houston and Christina Milian before dropping "In My Own Words" last month. Yet, he remains optimistic. "From all the ... situations I've seen and experienced, I've learned to never give up," Ray J said. "'Raydiation' shows the strength that I've gained so far from my life."